and the succubi of one who nightly grieves. Gina is our host this week and she tells us about an article by Laurie Patton, in which the writer asks pertinent questions about the dual lives we lead, and mentions famous poets and writers who lived ‘one identity at a time and also those who chose multiple identities’ concurrently. Gina says that the part of the article that held her attention was the ‘Tanpura Principle in writing’. She explains that the tanpura is an Indian instrument that sustains the other instruments by providing a drone or base from which the soloist can draw in singing or playing the melody, and that the Tanpura Principle in writing is the idea that much of writing occurs while doing something else, because the base of poetic inspiration, the supporting drone, is always there. Gina asks us about the poetic hum in our lives: what hums in the background of our lives that inspires us and is the drone always there or do we have to cultivate the inspiration? She has given us a list of points to ponder in our poems. She has also shared some poems from poets who write listening to their poetic hum. I often write about the beauty of nature and everything living, but my ever-present supporting drone is the loss of friends and family over the years, relationships I will never get back, and the thought that death will claim more before my own life comes to an end. Posted in Poems. Tagged dverse Poets Pub, Imaginary Garden with Real Toads, Poetic Hum, Rooks, Tuesday Platform, Tuesday Poetics. This is a dark hum, Kim. I’ve often thought of your poems as capturing a beautiful moment. Maybe it’s the knowledge that time is passing adds to the appreciation. The darkness is always there, Sarah. I think, when my mum died, I realised that there are very few of us left and I keep wondering about old friends and relatives I haven’t seen for years and whether we’ll get to meet up again. Call me Maud(lin). I can identify with the somber tone of this poem, having reached the time in my life when loved ones and dear friends pass from this life one by one. But, dear Kim, just think of the welcome committee and glorious reunion we’ll have when we get to the “other side”! “A deadened wind soughs a song of loss.” Yes, that is it exactly. The birds are kind of Victorian. thank you Kim. for writing this. when one has suffered loss it drowns out everything else. that hum is on replay even when we want it to be quiet. the darkness and howling wind echo how great your loss has been, your poem today is so reminiscent of George Saunders, Lincoln in the Bardo, you have captured sadness of loss and the beauty of life, what a strong and empowering drone Kim. Thank you, Gina, for your understanding and appreciation. “I hum against the windy wings” through obstruction, there is a feeling of powerlessness against these dark forces that take. As I start to get older, I have started to hear that same hum. All I can do is cherish what I have as completely as I can before other voices join that solemn song. There is beauty and solemnity in your poem, Kim. Powerful use of alliteration. So ripe and rich and sonorous the language–we could be reading Heaney–darkly resolving into the softer sibiliants of breezing poetry, the gift. Not despite nor because but in league with, like the shadow of a boat passing over a river bottom. Loved it. You’ve made my morning, Brendan, aligning my poem with Heaney’s work – he’s a special favourite of mine. Thank you so much. Dark and haunting specially with the last line, Kim. The grieving stays, humming underneath. Oh, Kim those last two lines… how the imagery fills heart and mouth. I found myself swallowing dryness, reaching for water… and then choking on the thought of grieving night after night. So many feelings. I wrote that one while stuck in a sitting position with chronic lower back pain. Why is it that poems come to us when we are in pain? This has a somber darkness at it’s core Kim, but it is also enchanting t read. Death and loss are ever the background noise. You evoke it so well here, darkly beautiful. I feel the deep and hollow sadness in this lamenting poem…enjambment keeps it moving to the end. Loss and pain I think are the backdrop to much of poetry… I so echo your feelings on the topic, Kim. to caw themselves to sleep – is a vivid haunting image. 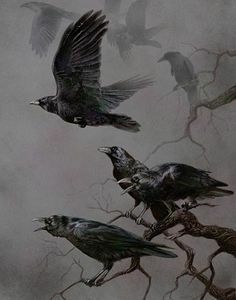 Your description of the trees with ancestry and the crows going to roost are great images in your poem. The s-sounds are gorgeous in this verse — your diction and metaphors are spot on. I love this bit: “I hum against the windy wings,/through a mouthful of mouldering leaves”. Thank you, Anmol. Your comments are always appreciated. They pulled me in, as well. This is an instant favourite for me, Kim. I love the way you have woven the S – K – combinations through the lines, and the subject is very on point with the moodiness of season’s changing. Thank you, Kerry. Your comments are much appreciated. i had to read it 2 times. it’s sad, real and beautiful. In spite of the final two lines, I think that “I hum against the windy wings,” shows a determination to be strong. This is so wonderful! I think we all gather words from pain and loss. Maybe it is their gift to us. Thank you, Mary. It probably is. Kim, this is such a poignant write. As we age, we lose people we love more and more, and we are left to cope with our grief. You are so right- grief never leaves. I’m glad you wrote this Kim. As someone else said, we are used to reading light and cheerful poetry from you. This is deeper and more personal and it’s a way of looking at life that I at least can empathise with. Ah, Jane, the darker side is everpresent. It’s essential to bring it out occasionally too. You have captured the dark hum that is often in the backdrop. I think we all carry a bit of sadness/darkness with us. Beautifully written. a deadened wind soughs a song of loss. There may be some regrets knowing how seemingly unfair our lineage may have deterred from the good expected of them, instead of having brought shame in some ways. Great opening Kim! Thank you so much, hank! in skeins towards an ancient rookery.” What a visual. This resonates with me. The grief, darkness and reality of death can certainly be the heartbeat of our poetry. Sad but true. I’m sorry for all that you have lost, Kim but thankful for the words that you create from your poetic hum. Thank you so much, Mish. Who knows what all goes on during the dark with us asleep. The “succubi” was new to me, I was intrigued by imaging the antics of the mystic “succubus”. Those night visitors can be persistent, Jim! I appreciate and respect your darkness, and honour the courage it took to share. Nicely done. Oh, those sullen branches of ancestry. Dour-faced Women not smiling from photographs on cardboard.